1.2 Litre Petrol. Vehicle has been well looked after by myself for almost three years and has only 3 previous owners. Power Steering. MOT until June 2019. 1 previous owner (excluding current owner). AIR CON, ALLOYS, RADIO/CD PLAYER, HPI CLEAR, EX COND. This is the one to have with chasis set up by Renault Sport. Great colour with low mileage. Cruise control, electric roof and windows, AC, just had knew front tyres and major service, two keys and FSH. Great runner- 2001 RENAULT KANGOO. 5 door with lift up hatchback. Only 45,000 miles on clock. Previous owner disability vehicle. Sad to see her go. VC5 and logbook and service history. Collect from Lewes, East Sussex. We have all the previous MOT certificates and service history in the original folder. Electric windows front and rear. Fully operational electric roof. We will also include the optional rear wind deflector which is quite expensive to buy but makes for a much nicer drive when roof is down. For sale is my sonsRenault Clio Grande RN 1999 5 Door. 1, Original Renault Car Manual. Receipts for any work done and servicing. In the 9 years he has owned the car it has been well maintained and services by myself with no expense spare. 2011 (60) Renault Grand Modus, diesel, light blue, manual. The car has had a lot of money spent on it recently. Current engine shows a verified mileage of 36,650 as of last MOT. New timing belt and water pump in Dec 18 (20miles ago). There are only 3 seats, because it has been modified by Constables for wheelchair access. It has been a godsend for the intended purpose and also for our old dog. This seat has now been removed because it broke. 2010 60 PLATE RENAULT CLIO I MUSIC 1.2 5 SPEED MANUEL. VERY RARE WITH SUCH LOW MILEAGE LIKE THIS. VERY GOOD CONDITION. CALL 0,7,5,3,9,2,5,3,7,9,2. SERVICE HISTORY. RUNS AND DRIVES PERFECT. POWER STEERING. The Clio is Black with a Grey/Charcoal interior. 40000 MILES. HIGH LEVEL REAR BRAKE LIGHT. CENTRAL LOCKING. ELECTRIC WINDOWS. DRIVER & PASSENGER AIRBAGS. FRONT FOG LIGHTS. POWER-ASSISTED STEERING. Power steering. Full service history, Multicolour, 1 owner. Passenger airbags. Driver's airbags. Central locking. MP3 player. 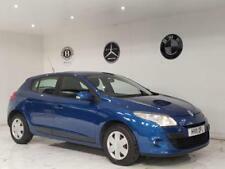 2009 Renault Megane 1.6 VVT (100bhp) Extreme 5Dr Ruby Red ONLY 43,000 MILES !! Cheshire Motor Group - Connecting Cars with Customers - Call us on 441612416399 or click here to find out more. 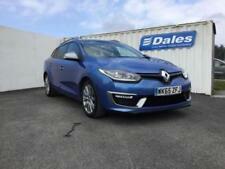 Renault Clio RS Sport Gordini with 6 Month Warranty Included! Very low miles at only 49k with FSH and an inspection just completed by us. MOT until the 19. This is a fantastic drivers car and has a real sense of occasion. The leather racing bucket seats really hold you in position which is just as well considering the cornering speeds this rapid little car can produce. RS200 Renault Clio Cup with low Mileage 45,200 Miles, been SORN for last 2 years. Excellent condition. 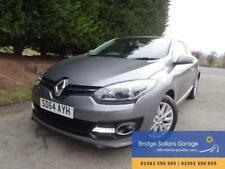 Renault Clio 1.5dCi ( 90bhp ) ( MediaNav ) ( s/s ) ENERGY 2015 Dynamique S.